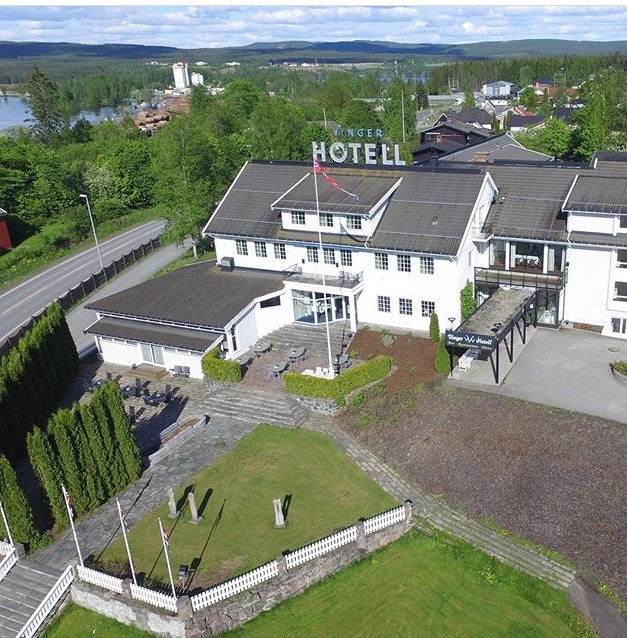 Vinger Hotell lies in a green, idyllic setting in the middle of the fortress town Kongsvinger. The location is central, while the possibility of wilderness is close. If you drive an hour from Oslo or approximately 50 minutes from Gardermoen you arrive. From Oslo, take the E6 and take off at Kløfta (north of Oslo) to E16, continue towards Kongsvinger. From Gardermoen E6 and taking off at Kløfta (north of Oslo) to E16, continue towards Kongsvinger. From Hamar E6 and takes off toward Highway 24 at Romedalroad, towards Kongsvinger.